On Thursday, January 17th, join Growing the Future’s Horticultural Trainer, Susan O’ Brien, for a Pollinators’ Flower Garden course. Booking is essential. 10am-1pm. £30 (£27 Concessions & Garden Members). For more information, including how to book, please call 01558 667150 / 01558 667185 email gtf@gardenofwales.org.uk, or visit the Garden’s Eventbrite page. Find out more on the Garden’s work saving pollinators across the world here. On Friday lunchtimes in January, Growing the Future at the National Botanic Garden of Wales is hosting a series of talks starring inspirational women in horticulture, covering aspects such as their career journeys and horticultural interests. 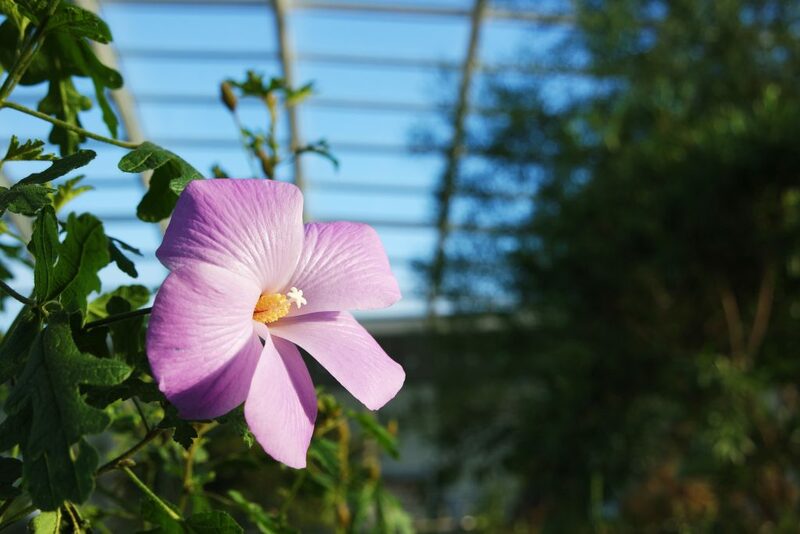 There’s also the opportunity to learn more on the scientific research and horticultural developments within the Botanic Garden with introductory talks by Garden PhD Researchers and Horticulturist. Enjoy this FREE series while also taking advantage of FREE Garden entry during weekdays in January. The talks start at 12noon in the Garden’s Principality House. To book your place, please visit the Garden’s Eventbrite page. On Friday, January 18th, we’ll be joined by the award-winning garden designer Sarah Price, where she’ll give a talk entitled ‘Plants First’. Sarah believes in plant-driven design. She is developing a visual vocabulary using plants; their shapes, forms and patterns to compose her designs. Through an overview of past and current work she will give real examples and how her design processes work. Originally trained in fine art and having graduated with a first, Sarah is now an award-winning garden designer, winning gold at RHS Chelsea Flower Show 2012 and playing an integral part in the design of the Olympic Park gardens in 2012. There’ll be an introductory talk by Garden Horticulturist, Carly Green, where she’ll discuss her three week trip to South California in April 2018, where she explored how wild plants are recovering from 2017’s wildfire season and visited Californian botanic gardens. The Curator of Treborth Botanic Garden, Natalie Chivers, completes the trio of inspirational women in horticulture on Friday, January 25th, with a talk entitled ‘Treborth Botanic Garden – small garden, big plans’. Like many botanic gardens, Treborth has had an interesting journey up until now and Natalie will be sharing some of the history of the Garden, and exciting plans for the future. As well as caring for more than 2,000 species of plants and planning the future of her Garden’s collections, Natalie has a keen interest in garden design and has worked for designers at the Royal Chelsea Flower Show since 2014. There’ll be an introductory talk by Abigail Lowe, a Garden PhD Student, on her research which uses pollen DNA metabarcoding to discover what plants pollinators are using within the Garden and the Waun Las National Nature Reserve. If you had a real Christmas tree and would like to learn more about it and its origins, join Growing the Future’s Science Officer, Dr Kevin McGinn, for a ‘Captivating Conifers‘ course on Thursday, January 24th or Saturday, February 9th. On Friday, February 8th, join guest horticultural trainer, Neil Barry, for a Planting Design for Beginners Course. Booking is essential. 10am-2pm. £40 (£36 Concessions & Garden Members). For more information, including how to book, please call 01558 667150 / 01558 667185, email gtf@gardenofwales.org.uk or visit the Garden’s Eventbrite page. There’ll be a Planting Design: Next Steps course on Saturday, February 16th.